The Mister returns for its second excursion outdoors at the charming Brooklyn Fire Proof courtyard. Last time round worked out really nicely (keep an eye out for live mixes from the night coming soon) so we’re doing it all again but this time rolling a little later to 2am. We’ll have Tacos on the menu again courtesy of Taccolada so you can take in dinner early and ease into the party with a drink from the well selected bar. Eamon and Justin may take it upon themselves to push the musical boundaries a little harder as they welcome a French man who is no stranger to the weirder and more wonderful sounds of dance floor. 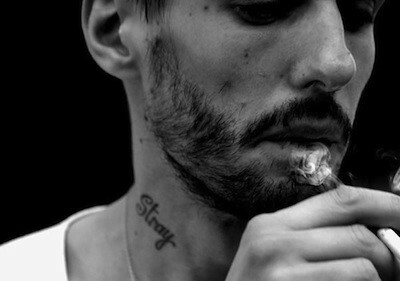 Ivan Smagghe is a DJ we’ve admired for some time now. He’s an intriguing character so we grabbed a few words with him today in an attempt to learn what makes the him tick. Have a read. Mister Saturday Night: You hail from a Parisian scene which seemed to be equal parts indie and underground techno. Are those two aesthetics still important to you today? Ivan Smagghe: Today more than ever for many reasons. I was born in ’71, so [I] was into underground music before house and techno existed, so when it appeared, it was for me and others just another type of ‘indie music’. It was as raw and underground as a Sonic Youth EP. The barrier between ‘dance’ and ‘not dance’ never meant anything to me, rock ‘n’ roll being dance music anyway. MSN: What indie sensibilities do you still look for in the dance music you play? MSN: You travel a lot, playing lots of gigs in different countries. How do you make sure the process remains enjoyable and vital vs. tired and jaded? IS: The main thing always has been the records. If I have good tracks to play, I will not get bored. I think there is a lot of good stuff around at the moment (compared to a year or two ago), [you’ve] just got to look for it. That and my girlfriend coming often with me. And good books. MSN: How do you see the next 5 years unfolding for Ivan Smagghe? this one is 21+ only I'm afraid. Sunday Best the next day however is all ages. Will this mix be posted? I wold love to have this mix. Great night!! !